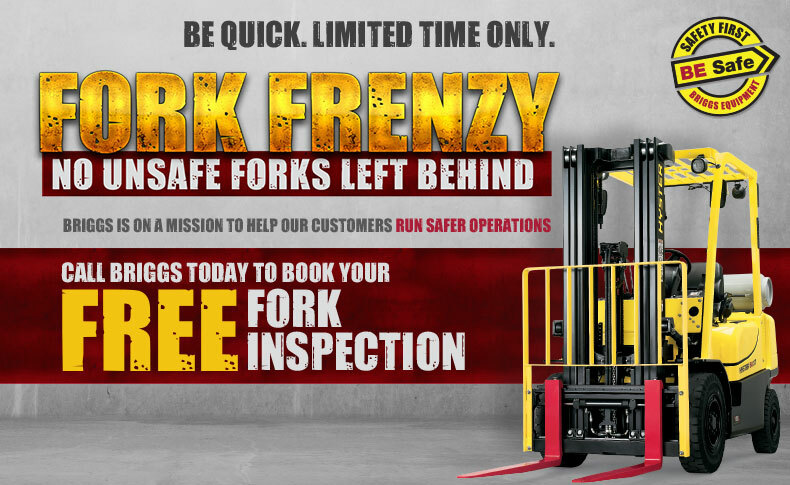 Forklift fork inspection is critical to running safe operations. Contact our forklift service technicians for a thorough fork inspection to spot any wear and replace your worn out forks with new ones. Blade or shank are not straight. Fork angle from blade to shank is not straight. Difference in height of fork tips. Fork blade or shank wear. DO NOT operate your forklift if the forks show any of the defects listed above. Complete range of forks for lift trucks, construction and agricultural material handling machines, in many different capacities, sections and lengths, ISO and special mountings. Bolzoni Auramo offers complete range of forks for lift trucks, construction and agricultural material handling machines, in many different capacities, sections and lengths, ISO and special mountings. Strongly focused on product innovation, Bolzoni Auramo has employed the most advanced technologies and software for fork designing. By using first class raw material and applying modern technological solutions and automated production processes, forks are produced according to customer requirements and the industry’s strictest standards. High-capacity manufacturing facilities offer flexibility in production volume output and fork model availability, required by OEM’s on equipments installed at the origin and by the after-market, suitable for different machines and various applications. Innovative and highly automated production process. Prime quality steel offering good welding characteristics and strong resistance to wear. Reinforced fork heel, bended in multi-phase press mould. Automated welding of upper and lower hooks with a robotic system, granting better quality of the welding, quality repeatibility and higher process speed. Complete heat treatment with hardening and tempering on the entire fork, providing the best quality and reliability characteristics. Certified quality of chemical composition and of the heat treatment applied on raw material used. Bar coding allowing for the tracking of raw material back to source. All forks produced comply with the parameters outlined in ISO 2328 and 2330. 1 fatigue test of 1,000,000 cycles at 25% overload. 1 static test of 2 cycles with triple nominal capacity. 1 resilience test at -20°C with a resulting value higher than 27 Joules. ISO 9001 Quality System Certification. ISO 3834-2 Quality Management in Welding. UNI EN 14001:2004 Environment Certification. Fork correct dimensioning and conditions are essential for safe, cost-effective and damage-free pallet handling operations. Therefore, a regular fork inspection system should be put in place to ensure perfect operating conditions. Inspections, repairs or replacements shall be carried out as a pair. Forks in use shall be inspected at intervals of 12 months or less depending on possible severe application, multi-shift operation and fork conditions. Regular inspections should be carried out by trained personnel. In case of detected damage, failures, deformations etc. forks shall be withdrawn from service and not be returned to service unless satisfactorily repaired or rerated. Check visually inner heel and top and bottom hook areas to detect possible cracks. Apply non-destructive crack detection tests if necessary. If surface cracks are detected, forks should be withdrawn from service. Check the straightness of the upper face of the blade and the front face of the shank. If deviation exceeds 0,5% of blade length or shank height, fork shall be withdrawn from service. Check a pair of forks mounted on the fork carrier to detect difference in tip heights. If difference in tip heights exceeds 3% of the blade length, the pair of forks shall be withdrawn from service. Check the fork positioning locking to ensure their normal operation and wear conditions. If any fault is found, fork shall be withdrawn from service. Forks shall be marked with the nominal capacity and load center – according to ISO 2330. If marking is not clearly legible, fork shall be withdrawn from service. Check the fork hooks for possible wear, damage and cracks. If clearance between fork and fork carrier is visually excessive, forks shall be withdrawn from service. Forks must be checked regularly to ensure the heel thickness is not less than 10% of the original thickness as per ISO 5057. If the fork thickness is less that 10%, the fork must be replaced or rerated. Repairs should be decided or carried out by authorized, expert personnel only, in accordance with recommendations of fork manufacturer. Do not repair surface cracks or wear by welding. In case of repairs requiring fork re-setting, forks should be subjected to an appropriate heat-treatment. Fork subjected to repairs different from repairs or replacements of the positioning lock and/or marking, can only return to service after having passed a yield test as described in ISO 2330.